1. The Fantastic Four reboot has finally found its cast. Miles Teller will play Reed Richards, Kate Mara as Sue Storm, Michael B. Jordan as Johnny Storm, and Jamie Bell as Ben Grimm. The movie will be based of the Ultimate Fantastic Four comic. They are still searching for an actor for Doctor Doom. 1. 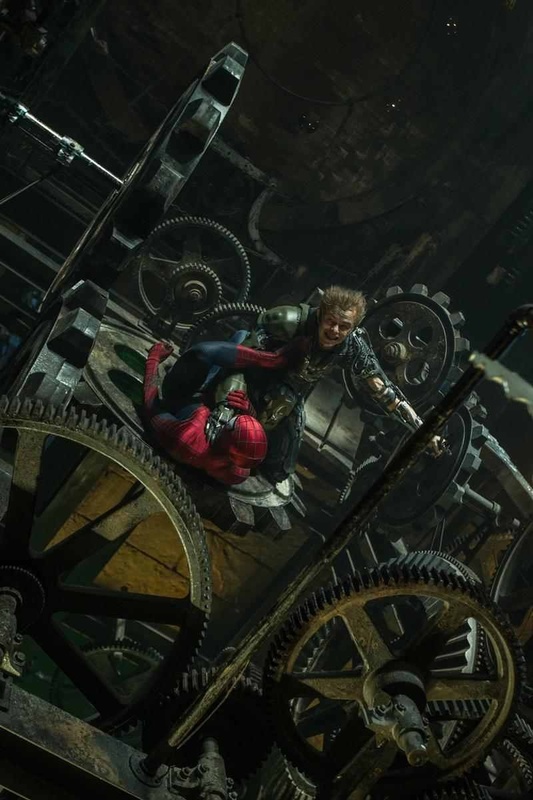 The first clear look at the Green Goblin in the Amazing Spider-Man 2 has arrived and…it’s something alright. Any one else remembering James Franco’s look in a better light? 3. Have you been watching some of the X-Men: Days of Future Past videos and noticed Beast looking a little less blue in several scenes. Nicholas Holt explains why during a set visit from Joblo. 4. The Guardians of the Galact trailer is here and now Marvel had released videos featuring each member. Check them out below. 5. According to The Hollywood Reporter, Marvel is underway with a search to find Dr. Strange a director. Leading candidates appear to be Mark Andrews, Nikolaj Arcel, Dean Israelite, and Johnathan Levine.